Hello and Happy Top O' The Morning To Ya! 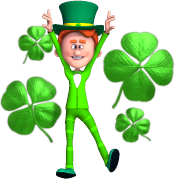 Here's wishing you a green, cheerful and Happy St. Patrick's Day!!! 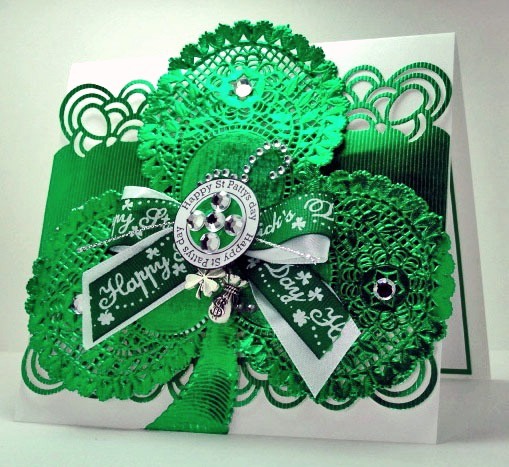 Below is a PARADE featuring a few GREEN St Patty's Day cards that I created just for YOU!!! Im very lucky to have YOU visiting me here in my little corner of blogland!!! So, Thank you! I hope you'll enjoy these as you celebrate today!! Happy St. Patricks Day to you, America! Your blog post and beautiful cards put a smile on my face! 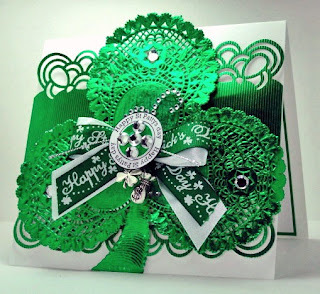 hi america, what great cards you have made for st.patricks day. Ohhhh WONDERFUL, lovin all the green!! so I am thoroughly enjoying yours!!! I love your parade. My you have been busy and all of them are gorgeous. Thanks for the parade of green and for joining us at Creative Card Crew. These are all terrific America. Each has it's own unique design. Great group of cards. Oh my goodness are these ever EYE CATCHING!! WOW . . . someone was busy before St Patrick's Day! Fab array of cards.